By Schatz, Howard; Ornstein, Beverly J. 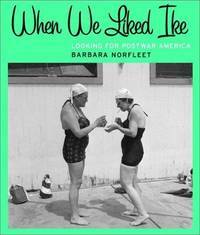 When We Liked Ike: Looking for Postwar America. New York: W. W. Norton & Company, 2001. First Edition, First Printing Cloth AS NEW in AS NEW DJ 4to (8-3/4 x 10-1/4), 160 pp. Hardbound book is FINE -- Unread, Unmarked and AS NEW in AS NEW unclipped glossy pictorial DJ. (h) Hula hoops and Slinkies and Silly Putty, crinolines and "modern" kitchens and smoking was cool. A fine memento to remind older people how it looked, or, if you want your children or grandchildren to actually see that we were more geeks than Fonzi's. By Colombo, Attilio (text); Translated from the French by Lydia Davis. Selection of photographs by Lorenzo Merlo and Claude Nori. New York: Pantheon Books, 1979. First U.S. Edition Glossy Pictorial Wraps AS NEW in WRAPS 4to (8-1/4 x 11), Unpaginated (approx 150) with numerous B&W and Color photographs. Trade paperback is FINE -- unmarked, unread and AS NEW in NEAR FINE glossy pictorial wraps (tiny corner bumps, bottom edge wear). (h) Someone once said "Anyone can make photos of what IS there, but it's another thing to make photographs of what isn't there." This is a compendium of the best examples of 1970's darkroom magic. 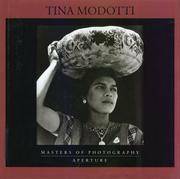 TINA MODOTTI (Aperture Masters of Photography -- No. 9 in the series). New York: Konemann / Aperture Foundation , 1999. First Edition Cloth AS NEW in AS NEW DJ Square 8to (8-1/2 x 8-1/2), 95 pp including Biographical Chronology. Book is FINE -- Unmar, Unread, and AS NEW in glossy pictorial DJ also AS NEW. Cover is black cloth with silver type. Text is is three languages: English, German, and French. (h) Brilliantly printed startling and wodnerful black & white photographs of the transitional years of the early 20th century in Mexico. Gift Quality. 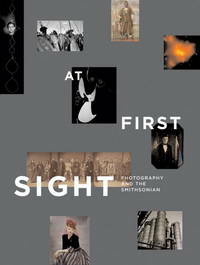 At First Sight: Photography and the Smithsonian. WYNN BULLOCK: Aperture Masters of Photography -- No. 4. Tibetan Voices: A Traditional Memoir (New -- still in publisher's shrinkwrap). By Brian Harris-- Editor, Photographer and Foreword. Preface by Mark Heffernan. Written and edited by Heather Wardle; Iain Marrs, and George Csaba Koller. 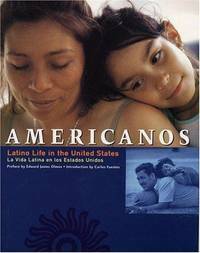 Americanos: Latino Life in the United States. By Lea Ybarra; Preface by Edward James Olmos; Introduction by Carlos Fuentes .